At GateHouse Sober Community, we are aware that addiction is an indiscriminate killer. It can reach anyone regardless of age, race, class, and upbringing. And once it’s worked its way into you or a loved one’s life, it seeks to transform someone into a shell of their former self. The effects of addiction aren’t limited just to its victim. The victim’s actions in the throes of addiction can ripple out to those around them; family members, co-workers, and spouses are all caught in the crossfire. Because of how deadly addiction can be not only to a single person, but to a sober living house community, it’s important to be proactive in weakening addiction’s grip on you or a loved one as soon as you identify it. Here are a few things to keep in mind if you or someone you know might have an addiction. In the late 80s and early 90s, the term “gateway drug” was used to refer to lesser or milder drugs that would lead to heavier drug use. However, research is pointing towards a new culprit that can lead people down the path of addiction” prescription drugs. A prescribed pain management regimen for a back injury can slowly turn and twist into a heroin habit. If you or someone you know is having problems moving off of controlled painkiller substances, this might be a sign of addiction, and something sober living in NH can help remedy. A sustained string of sudden mood swings in someone close to you can be a sign of deeper problems outside of an unexpected bill or a bad day at work. Especially over long periods of time, if someone close to you seems to have changed drastically in the way they act and behave, this can be a sign of addiction. Strong emotional bonds between victims and their loved ones can be a powerful tool to help combat addiction. By being honest and upfront with a loved one early on, you can help foster trust and openness with a victim of addiction. These kinds of relationships can be critical in guiding someone out of serious addiction. 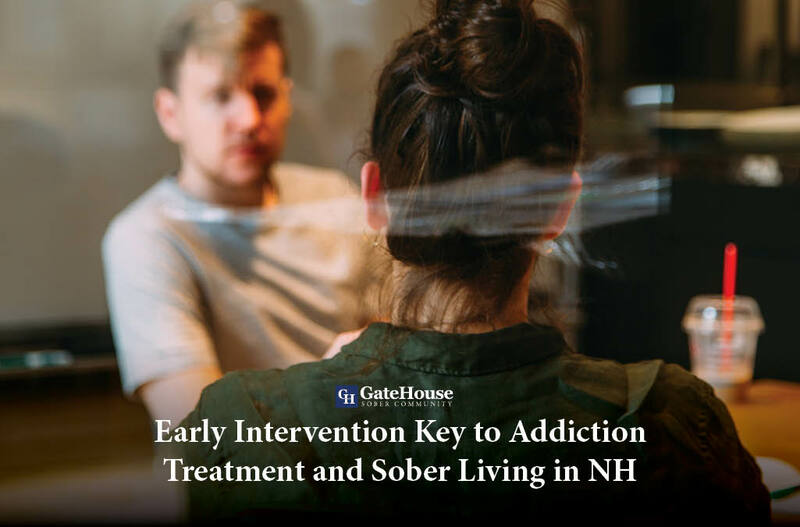 If you are struggling to find the right words to say, or worried about your own vulnerability to addiction, don’t hesitate to take the first step towards a sober living house in NH. Call GateHouse Sober Community today and start reclaiming you or your loved one’s future. Call us now (855) 448-3638.